The Christian Life Trilogy is a formation tool for the church and individual. At the heart of the Christian faith stands the Cross, the Resurrection and the Ascension of Jesus Christ. These three redemptive acts of Jesus shape the character of Christian formation for the church and the individual follower of Jesus. Each study is designed to bring transformational change through in-depth study of what the Apostle Paul calls the “things of first importance.” “For I delivered to you as of first importance what I also received: that Christ died for our sins in accordance with the Scriptures, that he was buried, that he was raised on the third day in accordance with the Scriptures.” – 1 Corinthians 15:3-4. The Crucified Life focuses on the Last Seven Words of Christ on the Cross, and it is intended for use during the season of Lent. The Resurrected Life is intended to begin at Easter and walk us through all the areas in which Christ brings us newness. The Spirit-Filled Life is intended for use around Pentecost, and it instructs believers in the power that can be found through life in the Holy Spirit. In addition to the Christian Life Trilogy leadership materials, The campaign kit will include a sample study guide, a daily devotional book, and a teaching DVD for each of the three parts of the Christian Life Trilogy. Order your Christian Life Trilogy Campaign kit today! On sale now for a limited time! Click here to purchase your Campaign Kit for only $99! Start now to plan your campaign for Lent 2018! The Campaign Manual and DVD provide resources and training as to how to maximize the engagement of your congregation by doing the Christian Life Trilogy as a church-wide campaign. Each of the three titles can stand alone. Many congregations use the Crucified and Resurrected Life for Lent and Easter, and then kick off the Spirit-Filled Life in the Fall season. The Training Videos provide teaching for the senior pastor and campaign leadership teams, as well as the small group hosts. JESUS GAVE US AN AMAZING GIFT. ARE WE EXPERIENCING IT? Jesus calls the Holy Spirit a “gift” who will guide us, lead us, and empower us. Yet many believers don’t experience the power and presence of the Holy Spirit in their lives. This unique small-group curriculum provides a space in which we can explore what it truly means to “walk in the Spirit” on a daily basis. This small-group curriculum centers on a 6-part DVD teaching series examining the life-giving and creative work of the Holy Spirit in our lives. As you walk through this curriculum with a small group or Sunday school class, you will have the opportunity to hear in-depth Biblical teaching and openly discuss what you learn in your group. You’ll also strengthen the bonds of community as you grow together, allowing your lives to be powerfully changed by the truths you discover. It’s time to begin the journey to a Spirit-filled life! The Spirit-Filled Life is part of the Christian Life Trilogy series. Order your materials today! 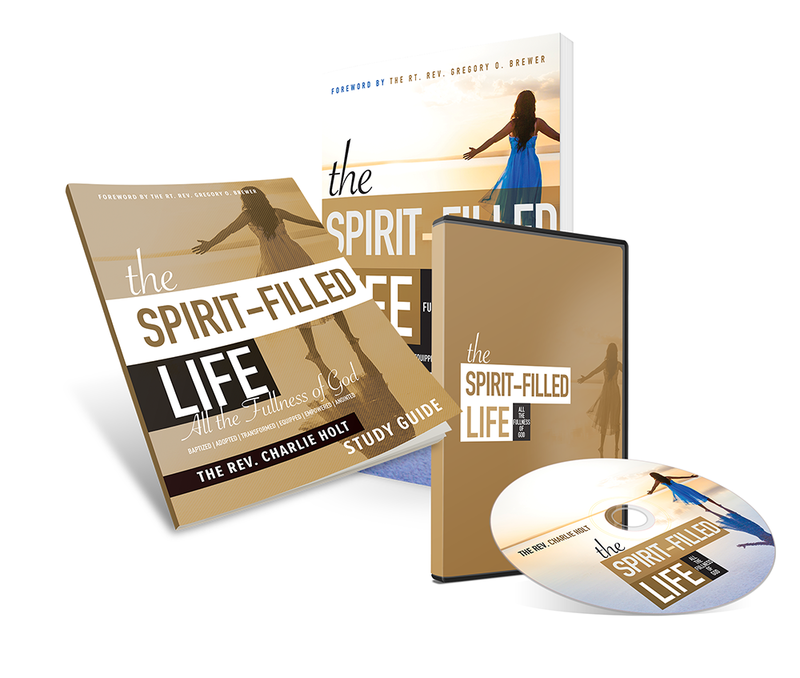 The Spirit-Filled Life devotional book has a Small Group companion Study Guide with a teaching DVD. NEW LIFE! IT IS SOMETHING WE ALL WANT. The Bible promises that those who are in Christ are “new creatures.” But how does that transformation take place? What does it look like to live on the other side of the cross? This unique Easter-season curriculum provides a space in which we can discover what it truly means to live a new life. The Resurrected Life Devotional provides a daily Scripture and meditation by which you’ll learn how Jesus Christ is making all things new—right now! The small-group study & DVD teaching series explores seven key areas of life transformation as Jesus heals, redeems and makes us new. Hear in-depth Biblical teaching and openly discuss the power of God in Christ in community. As you walk through the curriculum together, you’ll find that the glory of the Resurrected Life is the power of the Church. Christ’ resurrection from the dead gives us new and abundant life. So strengthen the bonds of community, grow together and allow your lives to be powerfully changed by the truths you discover. Begin the journey to New Life! Order materials today. This a great study to do as an individual daily devotion, or even better, invite a few friends to gather in a small discussion group. 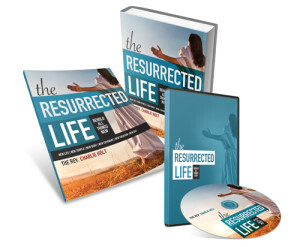 The Resurrected Life can be used as a Church-wide campaign. Designed to accompany the Christian Life Trilogy. the Campaign Manual and the Leader Training DVD provide resources and training as to how to maximize the engagement of your congregation by doing the Christian Life Trilogy studies as a Church-wide Campaign. Each of the three titles can stand alone, or they can be done in a series. Many congregations use the Crucified and Resurrected Life for Lent and Easter and then kick off the Spirit-Filled Life in the Fall season.The Training Videos provide teaching for the senior pastor, and campaign leadership teams as well as the small group hosts. THE WORDS OF JESUS, ESPECIALLY SO. The Crucified Life Devotional provides a daily space in which we can meditate on Jesus’ final words from the cross. As we consider His words, we understand and identify with His suffering in a way that challenges us, transforms us, and ultimately brings us hope. Whether used as part of The Crucified Life small group study series or individually, this Daily Devotional will help you hear Jesus’ words from the cross in a personal and life changing way. Visit http:christianlifetrilogy.com to learn more about the Crucified Life and other materials in the Christian Life Trilogy. Order today! 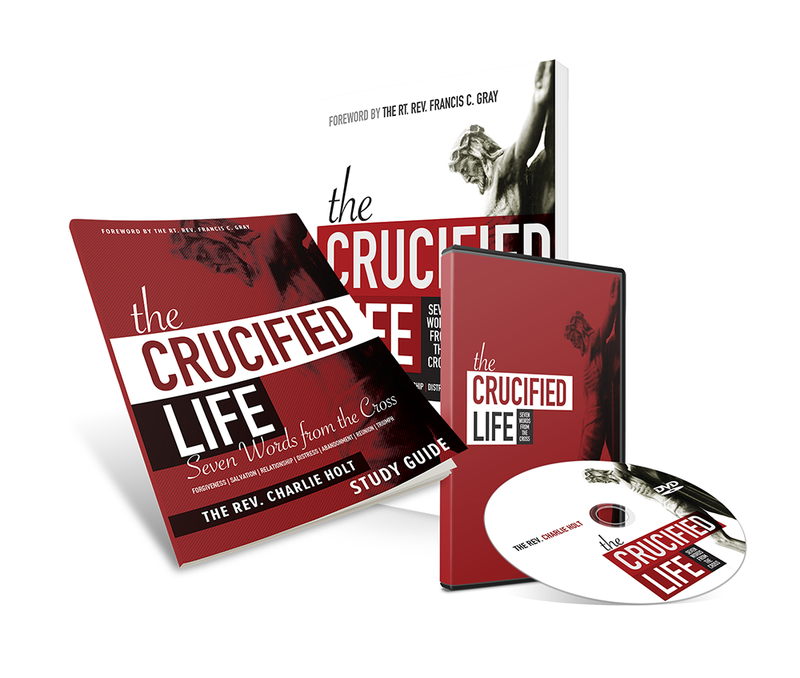 The Crucified Life is also a small group study with a teaching DVD. I am currently reading Renovation of the Heart by Dallas Willard. I have found it an excellent book about spiritual formation. I have to say Dallas Willard is one of my top 10 favorite authors. I also love his book Divine Conspiracy. As Christians, we know that we are new creations in Jesus, so we try to act differently, hoping this will make us more like Him. But changing our outward behavior doesn’t change our hearts. Only by God’s grace can we be transformed internally. Renovation of the Heart lays a biblical foundation for understanding what best-selling author Dallas Willard calls the “transformation of the spirit”––a divine process that “brings every element in our being, working from inside out, into harmony with the will of God.” This fresh approach to spiritual growth explains the biblical reasons why Christians need to undergo change in six aspects of life: thought, feeling, will, body, social context, and soul. Willard also outlines a general pattern of transformation in each area, not as a sterile formula but rather as a practical process that can be followed without the guilt or perfectionism so many Christians wrestle with. 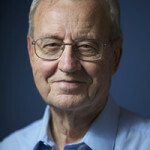 The late DALLAS WILLARD (September 4, 1935 – May 8, 2013) was a professor and former director of the School of Philosophy at the University of Southern California. He received his PhD from the University of Wisconsin and is the best-selling author of more than thirty publications, including The Divine Conspiracy, The Spirit of the Disciplines, and Hearing God.